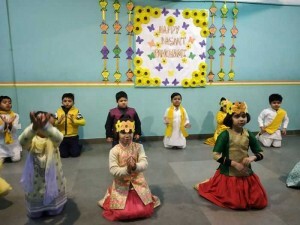 As we know Basant Panchami is the festival that celebrates the onset of Spring. It is also the occasion of Saraswati Puja in Bengal. 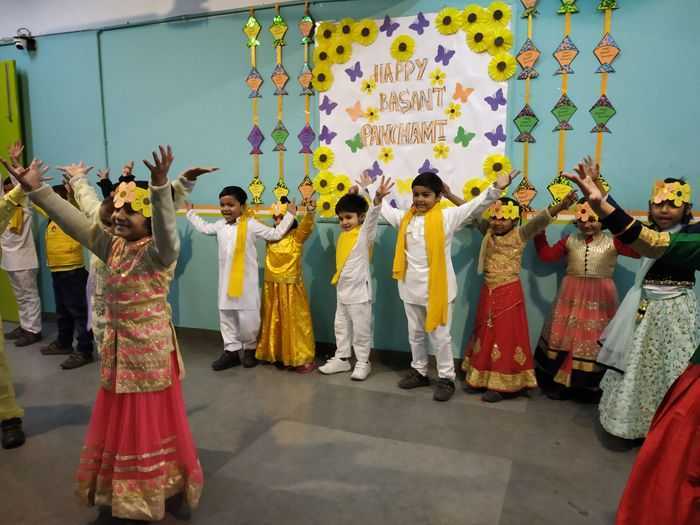 Pre Primary- Leo on Friday, 8 February, 2019 presented a special assembly on the occasion. Spring is the symbol of new thoughts, new learning and freshness. Goddess Saraswati, as we know too is a symbol of learning. Yellow is the colour of the occasion and was worn by the children and their teachers alike. 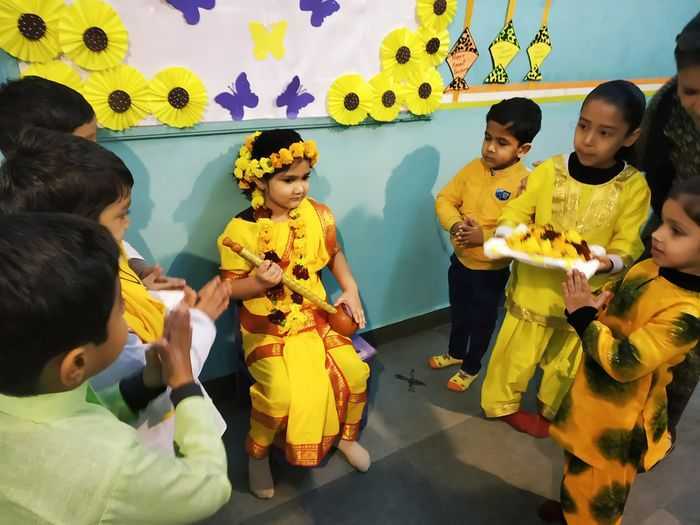 The assembly commenced with the children offering yellow marigold to the Goddess of Knowledge and Wisdom, as the notes of the Saraswati Vandana played. 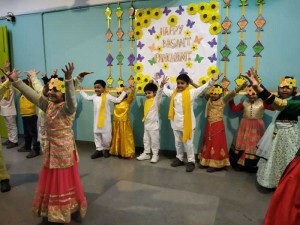 The significance of the occasion was then explained by two students of the host-class who also shared some important facts about the festival. A group folk, ‘Aaya Basant dekho aaya Basant’ followed in warm reverie as a welcome to the season. 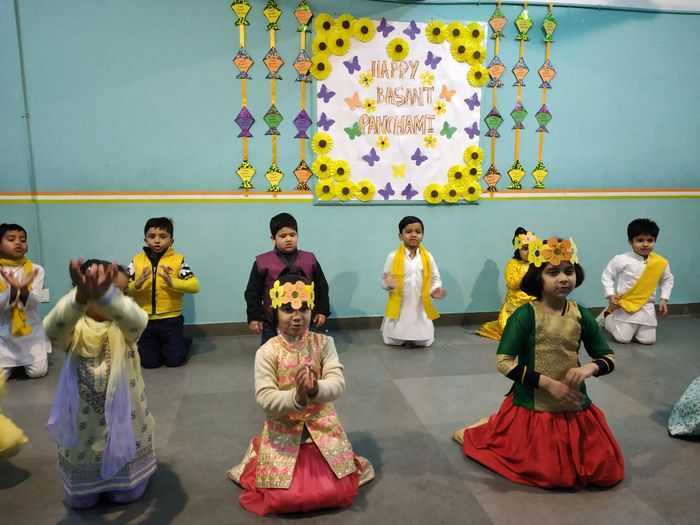 A song sang by the class choir, ‘Spring is here’, described the the beauty of Basant was accompanied by actions and dance steps to its sprightly beat. The classrooms were amply ‘ dressed’ with the art and craft of the season, on the boards. Abundance and cheer filled the corridors to match the mood. The assembly concluded with the School song.